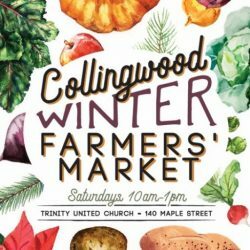 Collingwood Winter Farmers’ Market: Starts October 13th! We are now accepting applications for vendors for our 2018/2019 market season. Very limited space available so please apply as soon as possible. Click the link below to download the application form.